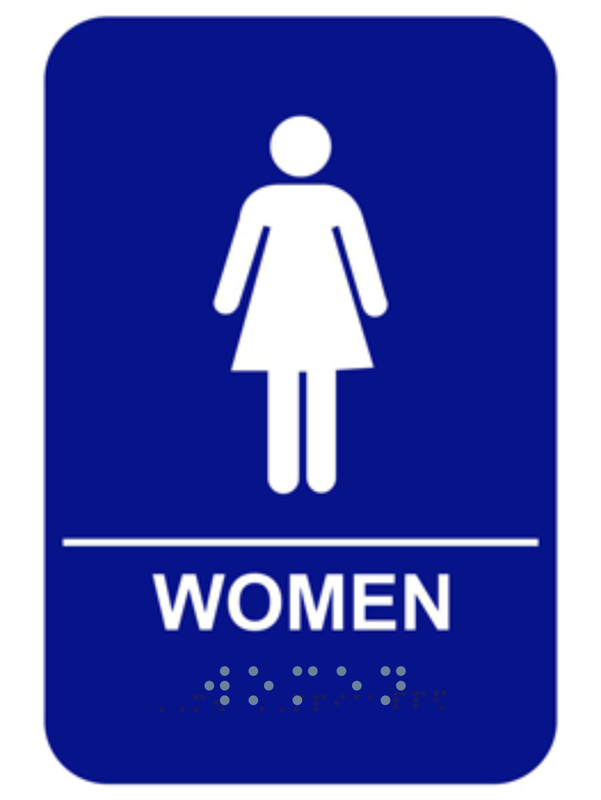 This acrylic braille women's restroom sign meets all ADA requirements. Sign is 6" wide by 9" tall and features rounded corners, raised lettering, and braille. This women's restroom sign is shipped with adhesive strips for easy installation.